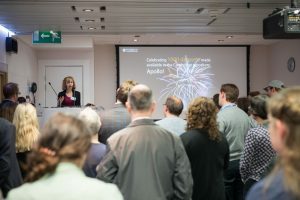 Last week, Cambridge celebrated a huge milestone – the deposit of the 1000th dataset to our repository Apollo since the launch of the Research Data Facility in early 2015. This is the culmination of a huge amount of work by the team in the Office of Scholarly Communication, in terms of developing systems, workflows, policies and through an extensive advocacy campaign. 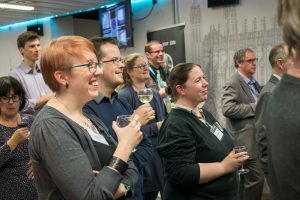 The Research Data team have run 118 events over the past couple of years and published 39 blogs. In the past 12 months alone there have been 26000 downloads of the data in Apollo. In some cases the dataset has been downloaded many times – 170 – and the data has featured in news, blogs and Twitter. 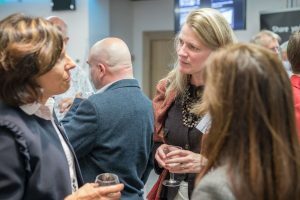 An event was held at Cambridge University Library last week to celebrate this milestone. 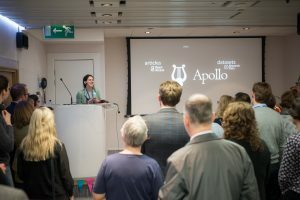 The Director of Library Services, Dr Jess Gardner opened proceedings with a speech where she noted “the Research Data Services and all who sail in her are at the core of our mission in our research library”. The second speaker was Zoe Adams, a PhD student at Cambridge who talked about the work she has done with Professor Simon Deakin on the Labour Regulation Index in association with the Centre for Business Research. Ms Adams noted it was only in retrospect she could “appreciate the benefit of working in a collaborative project and open research generally”. She discussed how helpful it had been as an early career researcher to be “associated with something that was freely available”. She observed that few of her peers had many citations, and the reason she did was because “the dataset is online, people use the data, they cite the data, and cite me”. 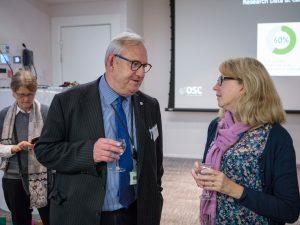 The final speaker was Dr Lauren Cadwallader, Joint Deputy Head of the OSC with responsibility for the Research Data Facility, who discussed the “showcase dataset of the data that we can produce in the OSC” which is taken from usage of our Request a Copy service. One observation was that several of the theses that were requested were written 60 years ago, so the repository is sharing older research as well. The topics of these theses covered algebra, Yorkshire evangelists and one of the oldest requested theses was written in 1927 about the Falkland Islands. “So there is a longevity in research and we have a duty to provide access to that research, ” she said. The dataset itself is one created by the OSC team looking at the usage of our Request a Copy service. The analysis undertaken by Peter Sutton Long and we recently published a blog post about the findings. 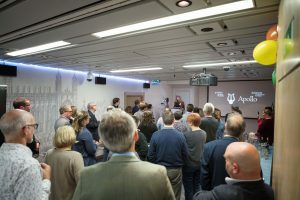 The music played at the event was complied by Tony Malone and covers almost 1000 years of music, from Laura Cannell’s reworking of Hildegard of Bingen, to Jane Weaver’s Modern Cosmology. There are acknowledgments to Apollo, and Cambridge too. The soundtrack is available for those interested in listening. This achievement is entirely due to the incredible work of the team in the Research Data Facility and their ability to engage with colleagues across the institution, the nation and the world. In particular the vision and dedication of Dr Marta Teperek cannot be understated. The event was supported by the Arcadia Fund, a charitable fund of Lisbet Rausing and Peter Baldwin. First let us begin with some headline numbers. One thousand datasets. This is hugely significant and a very high level when looking at research repositories around the country. There is every reason to be proud of that achievement and what it means for open research. There have been 26000 downloads of that data in the past 12 months alone – that is about use and reuse of our research data and is changing the face of how we do research. Some of these datasets have been downloaded 117 times and used in news, blogs and Twitter. The Research Data team have written 39 blogs about research data and have run 118 events, most of these have been with researchers. While the headline numbers give us a sense of volume, perhaps let’s talk about the underlying rationale and philosophy behind this, which is core. Cambridge University Library has a 600 year old history we are very proud of. 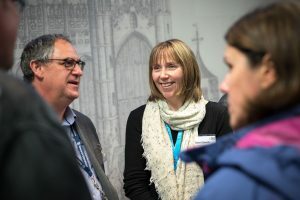 In that time we have had an abiding responsibility to collect, care for and make available for use and reuse, information and research objects that form part of the intrinsic international scholarly record of which Cambridge has been such a strong part. And the ability for those ideas to inspire new ideas. The collection began on vellum, paper, and stone and bone. And today much of that of course is digital. You can’t see that in the same way you can see the manuscripts and collections. It is sometimes hard to grasp when we are in this grand old dame of a building that I dare you not to love. It is home to the physical papers of such greats as Isaac Newton and Charles Darwin. Their research data was on paper and we have preserved that with great care and share it openly on line through our digital library. But our responsibility now is today’s researcher and today’s scientists and people working across all disciplines across our great university. Our preservation stewardship of that research data from the digital humanities across the biomedical is a core part of what we now do. And the people in this room have changed that. They have made our mission different, they have made our mission better through the work they have achieved and the commitment they have. Philosophically this is very natural extension of what we have done in the Library and the open library and its great research community for which this very building is designed. Some of you may know there is a philosophy behind this building and the famous ‘open library Cambridge’. In the 19th century and 20th century that was mostly about our open stack of books and we have quite a few of them, we are a little weighed down by them. Our research data weighs less but it is just as significant and in the 21st century our support and our overriding philosophy is all about supporting open research and opening data as widely as possible. 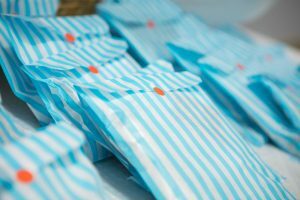 It is about sharing freely wherever it is appropriate to do so and there are many reasons why data isn’t open sometimes, and that is fine. What we are looking for is managing so we can make those choices appropriately, just as we have with the archive for many, many years. So whilst as there is a fantastic achievement to mark tonight with those 1000 datasets it really is significant, we are really celebrating a deeper milestone with our research partners, our data champions, our colleagues in the research office and in the libraries across Cambridge, and that is about the changing role in research support and library research support in the digital age, and I think that is something we should be very proud of in terms of what we have achieved at Cambridge. I certainly am. I am relatively new here at Cambridge. One of the things that was said to me when I was first appointed to the job was how lucky I was to be working at this University but also with the Office of Scholarly Communication in particular and that has proved to be absolutely true. I like to take this opportunity to note that achievement of 1000 datasets and to state very publicly that the Research Data Services and all who sail in her are at the core of our mission in our research library. But also to thank you and the teams involved for your superb achievements. It really is something to be very proud of and I thank you. Editing advice: Third paragraph, last sentence should have “and that” removed from Dr. Gardner’s remarks at dataset repository celebration. Article was otherwise very fine and interesting.